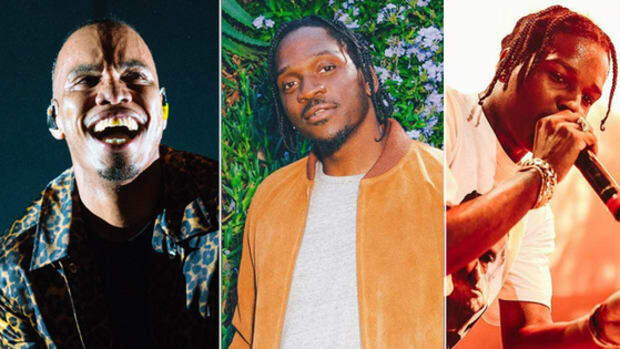 No one was begging for less rap in 2018, even from artists flooding the market with new projects every quarter. 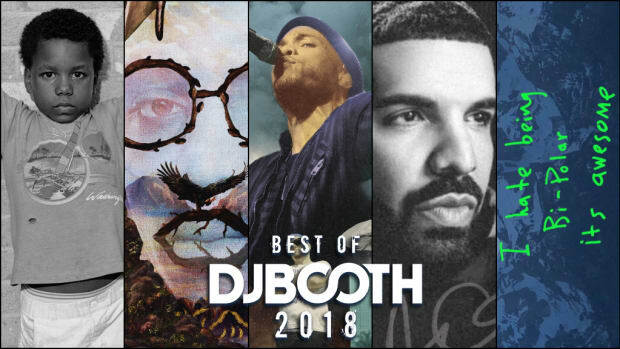 Drake, Kendrick Lamar (Black Panther The Album), Kanye West, J. Cole, Eminem, Travis Scott, Cardi B, Migos, Mac Miller, Pusha-T, Lil Wayne, and Nicki Minaj, among countless others, all released full-length albums last year, and yet, fans and publications alike went so far as to question why Rick Ross hadn’t released his long-rumored Port of Miami 2 album and literally counted the days since Big Sean last dropped a project. 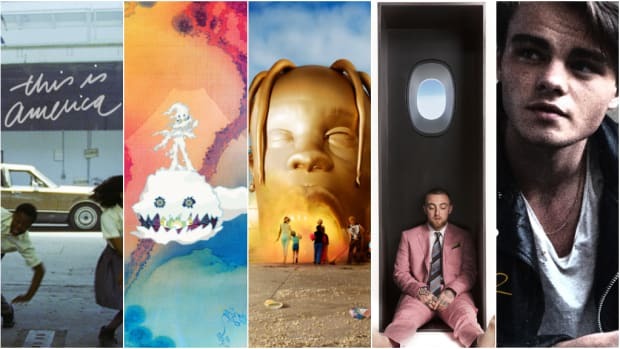 Year-end lists ranking albums—not songs—dominate the news cycle, first-week album "sales" (word to Rob Markman) and Billboard 200 entries are viewed and analyzed on an endless loop, and because far more projects hit the Billboard 200 than singles hit the Billboard Hot 100—67 hip-hop albums hit the Billboard 200 top 10 in 2018, while only 28 hip-hop artists entered the Hot 100 top 10—artists are incentivized to release one full-length project after another instead of one single at a time. Those inside the record industry and out have in equal measure scrutinized the saturation that has accompanied the proliferation of the streaming era, but in the age of infinite content, prolificacy is the name of the game. Thirteen hip-hop artists charted in the top 10 of the Billboard 200 with two or more separate projects. Lil Baby, Trippie Redd, and XXXTentacion did it three times. So, which artists truly embraced prolificacy most in 2018? 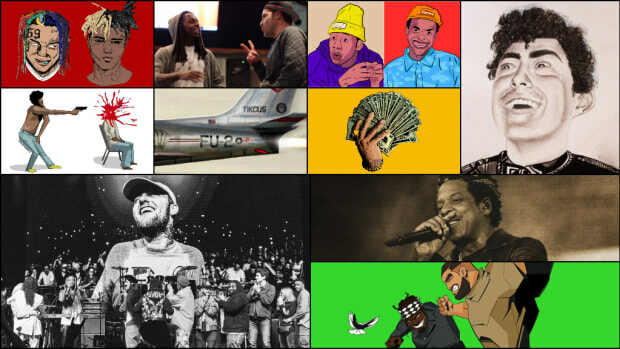 To find out, we tallied up the total number of words delivered by the most commercially-successful, mainstream hip-hop artists across every one of their 2018 releases—albums, mixtapes, EPs, loosies, guest spots, etc.—and came up with a top five. The artist must be signed to a major label, but not every release must be backed by one. The song, verse or project must be an "official" release—no leaks or snippets. Quavo’s 49 guest spots in 2018 accounted for 33.6% of his total lyrical output, the most of anyone in our top five. Although his solo debut, QUAVO HUNCHO, was laden with guest features, Quavo himself contributed 8,128 words. Surprisingly, Quavo delivered more words on Migos’ Culture II than he did on his album: 8,651. 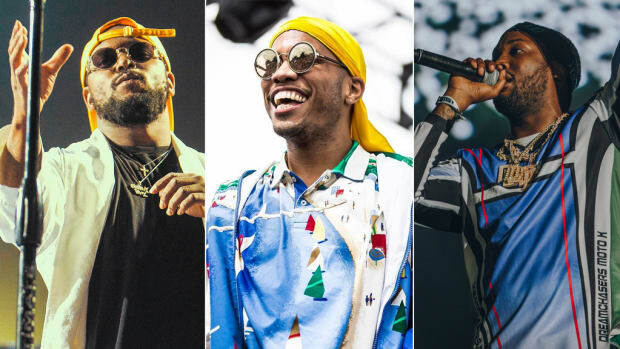 Offset delivered the most impressive solo set among the three Migos members, but Quavo remains the most dominant member, at least in lyrical contribution. Moneybagg Yo used prolificacy to build a major label career. His eight mixtape releases across 2016 and 2017 and his vibrant live performance caught the eyes and ears of Yo Gotti and Interscope&apos;s Joie Manda, who signed Yo to a recording contract on the strength of his organic fanbase. The Memphis rapper’s 2017 mixtape Federal 3X debuted at No. 5 on the Billboard 200, earning 30,000 album-equivalent units, which, in 2018, he followed up with five major projects and a laundry list of collaborations (Lil Baby, Dave East, Lil Durk, Kevin Gates). Dave East doesn’t care about providing his fans with either quality or quantity; he believes he does both well. He isn’t wrong, either. Paranoia 2, a solo mixtape released in January 2018, achieved universal acclaim—it scored an 83/100 on Metacritic—while Beloved, a joint project with LOX legend Styles P, proved East could more than hold his own bar-for-bar alongside a grizzled veteran. East&apos;s crowning achievement, however, was his brutal diss track “I&apos;m Good Cuz, Enjoy (Detox),” a 1,200-word, 105-bar track aimed at rapper Tray Pizzy. The lyrical onslaught was more than worthy of his prolific year. Ten years after Lil Wayne scorched the earth with his 2008 feature run, which included 109 officially released songs and an astounding 42 guest spots, his numbers do not relent. 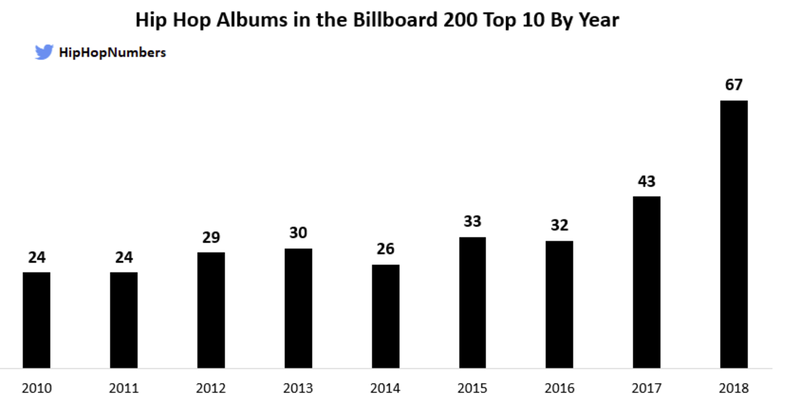 Wayne is easily the most commercially successful rapper on this list: He hit the Hot 100 with 22 separate tracks as the lead artist, and his album Tha Carter V delivered the third-highest opening-week consumption total in 2018. 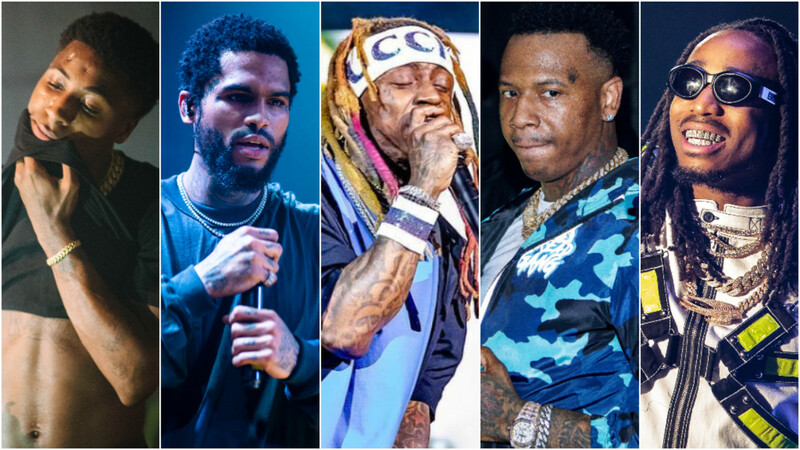 Wayne was the consummate 2018 rapper: prolificacy, top-tier commercial relevance, and critical review success (Carter V holds 72% on Metacritic). Editor’s Note: Youngboy NBA’s collaborative mixtape Kane & O-Dog with VL Deck wasn’t included as its lyrics aren’t available on the internet. Nine mixtapes releases between 2015 and 2017 helped Youngboy Never Broke Again secure a reported $2 million multi-album deal with Atlantic Records, and served as the jumpoff point for a 2018 calendar year that produced a constant flood of new music. Commercial success came with NBA’s debut album Until Death Call My Name, which peaked at No. 7 on Billboard 200 and earned the Baton Rouge, Louisiana native a Gold plaque. 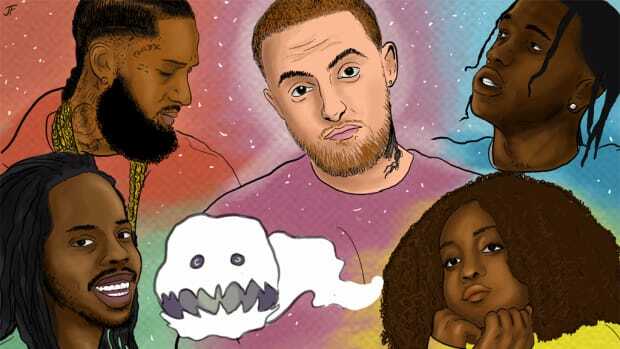 Most impressive is the 19-year-old’s dedication to his career—only 15 of the 60 songs released in 2018 to feature his vocals were guest spots, while roughly 75% of his words were delivered on his tracks. 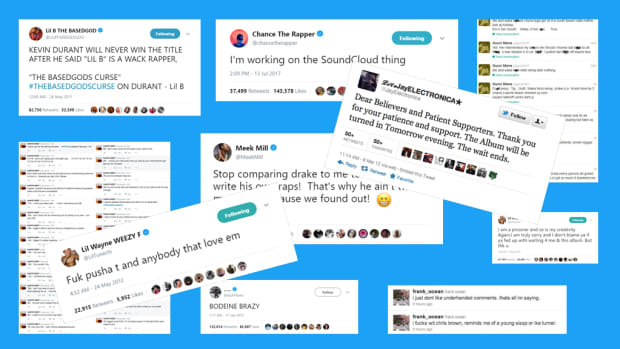 So, does this signal a new era for hip-hop? The numbers speak for themselves. 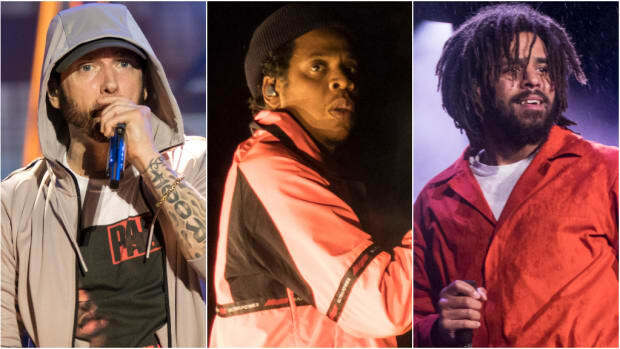 Two thousand eighteen was a huge year for hip-hop: 67 rap albums reached the Billboard 200 top 10, which is 14 more than 2017, and nearly three times as many as 2010.